Flying alone is often long and tedious experience, right? If you want to turn your solo flying into a more fun experience, then our choice for Unique Dating App of the Month is a perfect solution for you. 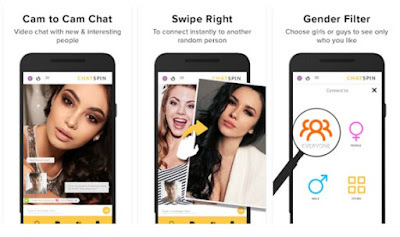 Meet the Fly Single app, one of the most original dating apps on both Android and iOS platforms! Welcome to the one and only community that’s aiming to build on the huge success of social networking and online dating to turn flying alone from a chore into an adventure – Fly Single. If you want to turn your flying alone experience into a more fun and exciting journey, this awesome cross-platform app is a perfect match for you. Designed with smooth UI and easy-to-use features, it can connect you with other travelers that share your interests. First of all, you have to register, either by making an anonymous profile or by connecting through your Facebook or Linkedin account. Then, just add your preferences and let the app search its database in order to find you matches. After you’re presented with suitable matches, you can easily send contact requests, chat via messages and hook up in no time. This way you’ll be able to find your date on the plane, on the airport or even choose to meet before your actual flight so you can really get to know each other before you travel. Turn the long tedious solo flights into a fun journey spent in the company of a newfound friend with the same interests, download Fly Single from the App Store or from Google Play now! Android devices are great at doing many things and one of the things they excel at most is gaming. Over the past few years we have seen tons of awesome games hitting the Google Play Store that have changed the mobile gaming forever. One of these incredible games that we’ve played and enjoyed is Zen Sudoku, an addictive and beautifully designed Sudoku puzzle game. What is Zen Sudoku Game 9x9 Puzzles? If you are a person who likes puzzles and addictive games, then this is the perfect Sudoku puzzle game for you. 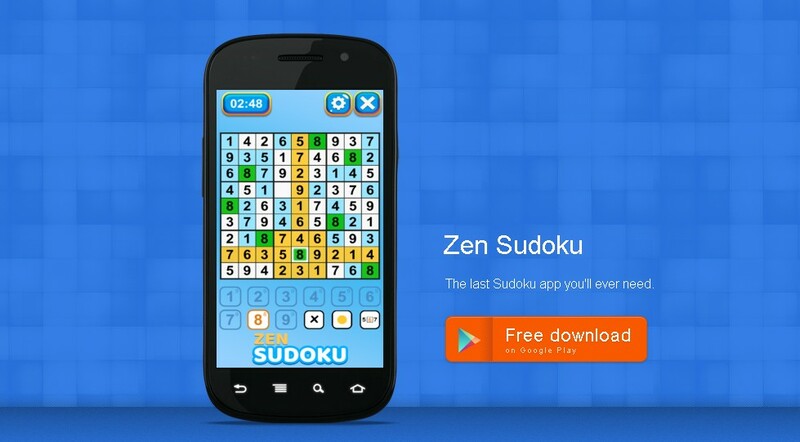 Developed for Android, Zen Sudoku offers the users unlimited fun and puzzles that will make you want more every day. Push your brain to think more logical, develop your thinking skills, challenge yourself to the limits, all that while playing and having fun. 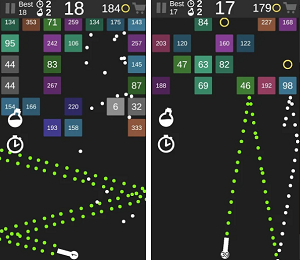 This puzzle game has a simple design but you will become addicted to it in no time. It’s not only a game, it’s also a good habit for your daily life, boosting your logical skills, making you fall in love with sudoku. The users are offered unlimited puzzles so the fun never ends. It has 3 difficulty settings (easy, medium and hard) so the users can choose how hard they want to push their thinking. You will never be irritated while playing, because this game offers you help to progress when you get stuck. Don’t worry if you enter numbers wrong, to help you the game highlights the wrong numbers so you have chance to correct yourself. The users get a scoring system for their performance. Also with the leaderboards and achievements you can play with people worldwide. Don’t think about it. Become master in sudoku while having fun all day long. Download this puzzle game from Google Play Store now! Apps are more powerful than ever, but it's hard to know which ones will waste your time and which ones will save it. We have for you an app that will make you more productive, and take away some of the stress from your life, whatever your day consists of, this app will help you get more done, faster. Let’s discuss about SwiftTapp app. SwiftTapp is an app for IOS designed to help people who aim to be more productive in their daily routines. It has very simple, creative design, unique functionalities that separate this app from other productivity apps. With creating patterns for apps or app features the users are able to launch every app on their smartphone with one swipe on the screen. Only one touch and you are allowed to play chosen song, enter Instagram camera or send message, or get to a specific YouTube channel, creating a whole new experience for your phones. Why do we choose SwiftTapp? We choose to discuss about this productivity app because it stands out from the other apps in this category. It’s the only app that gives you 2 one of a kind functionalities like app launching or launching features in apps with creating only a pattern. 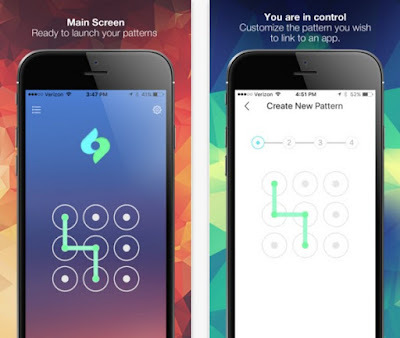 With creating patterns the users are able to make their phones to act smart and faster. It offers you the chance to be more productive in your phone tasks and minimalize the time you spend on your phone. The patterns you can create are unlimited and you can change them or erase them whenever you like. SwiftTapp is giving you a new perspective on your phone routines. Making your life easier, reaching your phone’s whole potential. Simplify your life, get this app and make your days more simple and productive. Download this app on App store or visit the official website. You work hard running your small business, so let your Android smartphone or tablet help you by downloading the right apps. Desktop PC apps keep you on top of things at the office, but why stay chained to your desk when you have a powerful computer right in your pocket? Read this review to see what we have brought to you. We are here with, Clear Scanner: Free PDF Scans. What is Clear Scanner: Free PDF Scans? 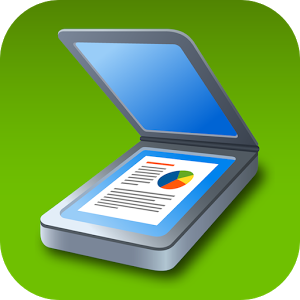 Clear Scanner: Free PDF Scans is a little scanner app that turns Android device into a portable document scanner and scans everything as images or PDFs. By using this app you an instantly scan documents in your office, images, bills, receipts, books, magazines, class notes and anything that need to access within your device. This pdf document scanner app is lightning fast and gorgeously designed for both phone and tablet. Now, name and organize your scans into folders, or share them by using your Email, Dropbox, Evernote, Google Drive, OneDrive Box, or Wi-Fi directly to your computer. All scanned documents are exported as an industry-standard PDF file. You can add new pages or delete existed pages within the PDF file. It also supports a lot of image editing options so you can make the scanned images as easy to read as possible. To get started with using this app simply tap the direct download link present at the end and have this worthy gadget to Android for FREE. If you want to travel safe and get information about your favorite destinations, we have the perfect app for you! Reviewed few weeks ago on our site, Anzen GPS is route guidance app that is primarily based on safety, one that differs from all other navigational apps on the market. That’s why it is our pick for a Travel App of the Month! Anzen GPS is a route planning app created for all iOS users, one that serves two functionalities to be specific, it gives course-arranging guide in light of security, and it illuminates clients of how safe their present area is and of any coveted area, the length of the information with respect to the city is available in the database. Current Global Positioning System (GPS) gives courses to goal in light of time, separation, tolls, development, and so on. Nevertheless, there is no current course direction in view of area security, hence here this application rocks. Tapping on the "City Check" catch demonstrates a rundown of urban communities in the USA. To know how safe a city is, the client can choose either any of the urban areas appeared or can enter the name of city. Tapping on "My Place" will demonstrate the security level of the present area of the client. The most distinguishing feature of this app is safety - the route it recommends may not be of the shortest distance or time. If there are 3 ways to get from A to B, all 3 ways will be provided along with their safety levels. It will be up to you to choose which route to use. You can download this app for just $0.99 for your iOS device by clicking the following App Store link. Get it today and enjoy new updates soon! What is Running Dead: World of Zombie? 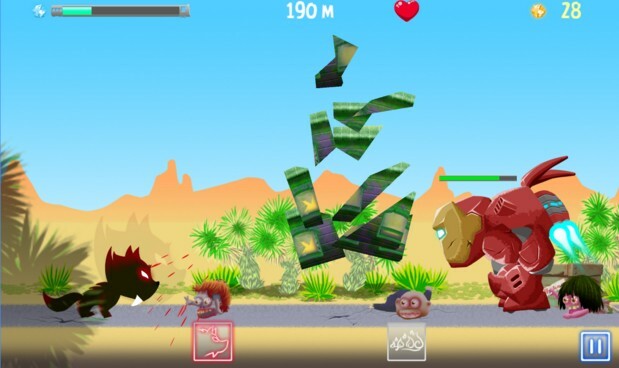 Running Dead: World of Zombie is a 2D platform game. The story starts off with the evil Dr. Donald killing Richard’s family and conquering his world. You are now on a mission to revenge your loved ones and kill the evil doctor while avoiding the zombie army that is protecting him. Richard needs your powerful skills to get as far as he can, unlocking new achievements. The doctor has all sorts of crafts and dangerous zombies by his side that will try to kill you if you try to get to him – that’s why you will need to jump, run and shoot them in order to get to the doctor! Why Do We Like the Game? We like the game because it is very challenging! The doctor needs to be destroyed along with his evil army because he conquered your world and killed your loved ones. That is harsh but it keeps you motivated throughout the game. You will be able to use many different characters – each one with special powers that will help Richard on his mission to kill the dead. The best thing about the game is that you will be able to unlock new worlds, designed precisely with stunning graphics and amazing sound effects. So get ready before you download the game because you won’t be able to stop playing! Get it now from the following links. There are thousands, if not tens of thousands of cannabis-related apps available today for use on smartphones and tablets. Many of them are buggy, poor imitations of better products, or just downright useless! But there are some incredibly useful and valuable apps if you know where to look – so let’s see what we have found. The endless runner may be the most oft-imitated genre on mobile. Making one isn’t necessarily difficult for a developer. Making a good one either takes a lot of luck or time and effort to craft a game with just the right feel. There are many worthy candidates to choose from – and some games with elements of endless runners that just didn’t quite fit. That’s why we offer this unique endless runner game called Prince’s Danger Adventure. Simple, addictive and highly challenging. What more we can ask from a game? Prince’s Danger Adventure is all that. You will start in the role of a prince that is trying to find his castle through the city. Help him to reach his beloved home while avoiding the enemies and obstacles. This game will put your skills to a test. You will have to be quick, smart and always on alert if you want to find your way around this ancient city filled with a lot of traps and enemies. It’s also a very detailed game that will only make your gaming even more pleasurable. Don’t forget to collect all the coins that you find along the way! Because that is the most important part of the game in order to reach your final destination. With the coins, you can buy powerups or other characters to help your prince on his way home. Enjoy this unique gameplay experience and download it for free from Google Store. See if you can get the prince back home. There's a reason the Fast and Furious franchise does as well as it does. Racing is exciting. It's almost as if the need for speed is ingrained in our DNA. And racing games are a natural extension of that. The best of those games make you feel the wind in your hair and get your adrenaline pumping through awesome graphics and smooth gameplay. From hyper-realistic racing simulators to arcade smashfests and everything else in between, here is one of our favorite mobile racing game for iOS devices. What is Endless Offroad Winter & Why We Love It? This 2D game is the best arcade endless racing game with stunning HD graphics and gorgeous nature landscapes. Compatible with iOS users, it can be downloaded for free from the App Store. Endless Offroad Winter is the endless race among many obstacles and pits, featuring amazing big vehicles,an addictive game play and intense traffic challenge. You'll be racing up and down hills. It sounds easier than it actually is. Players can also customize their vehicles, tune them to behave a certain way, and more. Download and play the best truck racing game! We all know that a great data integration tool should enable data integration infrastructure combined with advanced data mapping capabilities and flexible data reporting with self-service for business access for analytics and easy integration tool for developers. DSYNC is all this and a lot more! Let’s find out more why we picked this great software solutions! DSYNC attracted our attention when read one of their blog posts. Once you get to know it, you will definitely make use of it if you are a business owner or a developer. DSYNC represents an advanced data mapping, transformation and integration platform. Anyone who makes an account and inserts relevant data can connect multiple disparate systems, apps and business systems together! It’s amazingly useful for both developer’s and businesses. Why Developers Need To Try DSYNC? Developers can get a free developers account. It really opens a lot of opportunities and uses. When you sign up, you will get advanced developer functionality for connecting data with web services, FTP SYNC, XML, JSON, CSV, ODS and multi file output functionality, data callbacks, bidirectional and more. DSYNC can be used as an advanced mapping tool for syncing and pulling data from multiple data endpoints. There are ready made connectors for Xero, Wordpress, Woo, Shopify, BigCommerce, Magento 1 and 2, Neto, Quickbooks, SAP ecc, Revel Point of sale, Mailchimp, Unleashed inventory or they can build their own SDK and make money. So no matter if you are a business or a developer, be sure to try this data integration and tool that connects businesses in a glance. If you're into casual puzzle games, chances are you've come across one or two match-3 games throughout your journey. Or maybe a few dozen. The fact is, the sheer number of match-3 titles available makes it hard to separate the good from the bad. But we're here to help. We are offering one of the best match 3 puzzle games called Emoji Basket. Emoji Basket is different than all the rest match 3 puzzle games because it offers as a truly unique gameplay experience. Playing a match 3 puzzle game with emojis! In this case, you have to collect sea emojis. Your task is simple, you have to help the mermaid collect the cute and adorable sea emojis. All you have to do is tap on the screen in order to swap the emojis and match three or more of them from the same color and shape. This is a highly addictive and fun game that offers over 100 levels for you to enjoy. As you progress through the level the challenges will become greater and more difficult to beat. To help you along the way there are powerful boosters and powerups for you to collect and beat the levels. With the stunning graphics and unique soundtrack, your gaming experience will be even more pleasurable. You will spend hours and hours in front of your mobile, tablet or PC trying to collect these adorable sea emojis. Be careful and stay on alert for shark attacks and protect your emojis from growing weed on them. Start this game right now by downloading it for free from Google and App Store and complete as many levels as you can and win awesome achievements. Gameboy was one amazing handheld console. It had a wide variety of different video games to play. No matter your favorite genre, there was something. It’s no surprise that we want a good Gameboy emulators for Android. One advantage Android has over the GameBoy Advance is that it has exponentially more power to run any title easily. After tinkering around with a couple of GameBoy Advance emulators for Android, we were convinced that the one we are going to present for this review will be able to run any GameBoy title without any problems. We are talking about, Pizza Boy - GBC Emulator. What is Pizza Boy - GBC Emulator? Pizza Boy - GBC Emulator is one of the best ones available on the Google Play Store. By using this emulator, you will really enjoy the easy to use interface as well as the customizable controls available on this emulator. Moreover, there are plenty of options available for those who want to tweak their experience to the next level. The gbc emulator also supports a variety of controllers to make the experience more comfortable. All the rendering is done in high quality and the graphics look remarkably great. If you have a zipped ROM residing on your storage, the app is easily able to read it without the need of extraction. It has a ton of features, including really good performance and compatibility that should support almost all games. There is also support for cheat codes, overlay control themes, game controller support, support for most file extensions, and an OpenGL plugin mode that can add all kinds of visual tweaks. So what else do you need? This is the one you have waited so long, it is compatible with Android OS devices for free. You can find the direct download link to this app at the end of this review. Maybe you’ve already read our review on the Pyxsee app. Nevertheless, due to its functionality, usability and amazing design, we thought it deserves another mention. 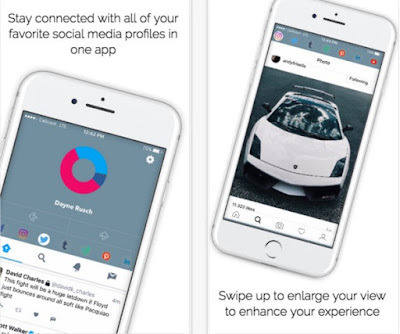 But this time we present it to you as our pick for Social App of the Week. Read on and see what this awesome app is all about! Today we have one simple and efficient social media management app that can help you save your phone’s storage space and manage all your favorite social media accounts from one place. The app that we’re talking about is called Pyxsee, and it’s now available for both iPhone and iPad users. Forget about using different social media apps that crash constantly, that slow down your device. With Pyxsee you can climb to the top when managing your social media accounts, like Facebook, Instagram, Twitter, Tumblr, Pinterest, LinkedIn and YouTube. It enables you to control, manage and access each one of these from one place, anytime and anywhere. The biggest standout feature of this app is that it helps you save up to 1.5 gigabytes of your phone’s storage and shows you how much time you’re actually spending on each social media site. Connect with all social media profiles through one app only, download Pyxsee for free from the App Store and don’t forget to share it with your friends! Are you ready for some realistic pool experience? With a ton of excitement and lots of fast-paced action, Blast Pool will keep the most seasoned pro playing well on your mobile. Its realistic 3D graphics and linear shot guides help you line up your shot, modify the shooting angle, and see where your shot is going to land, making it easy to line yourself up for your next move. Blast Pool brings you the pool gaming experience in a new Gangster style where you will be playing using bombs instead of these ordinary pool balls. The physics of Blast Pool are surprisingly on point. The balls bounce and roll around just as one would expect from the real ones. In addition, it is actually possible to spin the cue ball, so if you are certain in your abilities, all kinds of strategies can be possible, besides sending the ball flying. Sensible material design and concept makes it an amazing experience in the world of 8-ball pool. Play it offline anytime and anywhere. And much more amazing features. So what you are waiting for? Download this game free for your Android devices and have never-ending excitement and each time you play, you will have the eager to earn some more coins. In order to download follow the link below to get this for your device. In the 21st century, an online service has the potential to garner hundreds of thousands of hits if it is social networking enabled. Networking is the key. Now after a decade of connecting with real world friends online, people suddenly have the desire to befriend strangers. There are quite a few online chat services that help people to connect with random strangers irrespective of their geographic location and we’ve presenting to you one of the best. At Hightecholic, we’re a team that enjoys new and originally made games. Especially the ones that let you explore and experience different adventures! Few days ago we’ve presented to you a game called Evonite, a game that left us stunned and impressed. That’s the reason why today we’re announcing it an iOS Game of the Week. We are crazy for new games that provide us with hours of endless fun – that’s why today we are sharing with you a new adventurous game that will make your boring hours turn into fun ones. Evonite is an exploration game brought to you by Blue River Arts, designed especially for iOS users. Created with HD graphics, stunning screen controls and amazing sounds – this game will get you hooked in no time. It can be downloaded for free from the App Store. 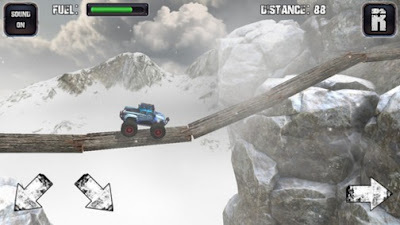 The gameplay of Evonite sets with you choosing one hero and one of the five vehicles and sends you on a mission to save the Sun, along with saving the universe. 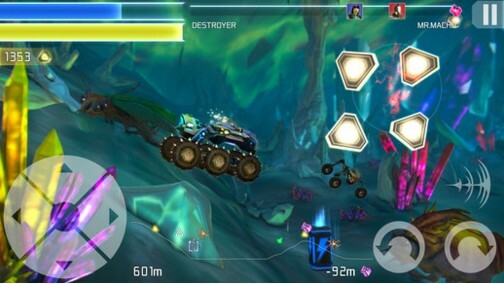 Driving through space, you will be able to explore many planets. Thanks to your special abilities as a hero you will be able to conquer the challenges and collect the Evonite stones in order to save the universe – along with the help of two guides. Download this game now and show your adventurous spirit! It’s available on the App Store – completely free of charge! Sudoku is a very interesting as well as an intellectual puzzle which develops your logical power. Once you get into the groove, you will never feel like giving it up.If you just go to the Play Store and search for Sudoku you’ll immediately notice that there are hundreds of Sudoku games on the market, and many of them look nearly identical. We found for you the best puzzle game for android – Zen Sudoku Game 9x9 Puzzles. It seems like every day there's a new form of online dating. No matter what type of relationship you're looking for — from the forever kind to the friends-with-benefits kind — there's an app for that! 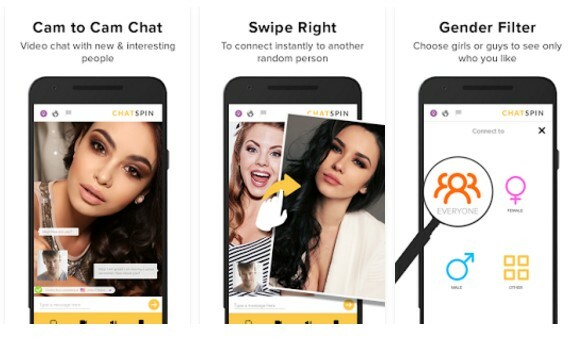 We've been hearing users discuss their wins and losses with a variety of online-dating phone apps, so we're breaking down the newest means of tech-based courtship, bringing you today one of the best on both Android and iOS platforms. If you are in a mood to make your days productive and save money and you are looking for the best utility app to do that, we have you covered. Today we have one of the most economical and ecologicval ways to recycle old or unused toys. We’re talking about an iOS utility app called Alakazu, one that will help you exchange, rent, sell or even donate toys with other parents who live in the same town as you do. What is Alakazu & How Does it Work? Alakazu is a utility app that will help you save money. Instead of spending them on expensive toys – you are now able to make your kids happy in a very ecological way! With Alakazu and its unique concept you can now browse and look for different toys in just a few seconds. It is one of the best apps for you and your kids, if you are looking for toys. The best thing about it is that it takes so little space on your iPhone, iPad or iPod touch, yet it offers various toys from other parents who live in the same city as you. Make your kids happier and save yourself some money with this amazing utility app brought to you by GERMAIN ET FILS INC. Get it for free from the App Store’s link below! If you are a recreational iPhonge games player, then get prepared because an arcade game is recently developed to challenge your reflexes and skills. This time we brought you a game “Corner Dash”. This gives players more control over their on-screen counterpart as they'll only have to worry about staying up in the game as much as they can. Play as a square roaming around the white walls with sharp turns and remember to keep collecting the gems present in spaces between these walls, as these are important. Check out this addicting but simple avoid obstacles game with modern graphic visuals. Navigate the square box left and right using precision skill to avoid the endless of white colored obstacles. Be careful not to hit them, or you’ll have to start again. If you like, arcade games and are not playing Corner Dash this means you are missing something great. It is the best game developed for you. Install the game free and enjoy the exciting gameplay. The download link is given at the end of this helping review. Android devices are great at doing many things and one of the things they excel at most is gaming. Over the past few years we have seen tons of awesome games hitting the Google Play Store that have changed the mobile gaming forever. This week we have an arcade game that we’ve reviewed few days ago, called Sky Copter. It is so addictive that any other game you play on your Android device now will become secondary. If you're looking for a new addiction, stop right now. There's no need for you to go through Google Play when you have us. 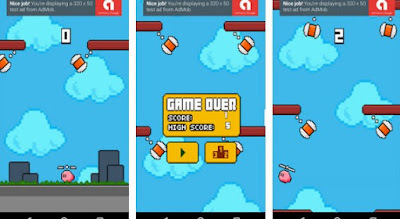 This fantastic tap tap arcade game, suitable for users at any age, Sky Copter is a beautifully designed Android game, presented with simple game mechanics, neat UI and fun soundtrack. The gameplay of Sky Copter is all about tapping. You have go use your best tap skills in order to take your tiny cute copter up in the air. You will face challenging obstacles, so try to stay in the air and fly your copter as higher as you can. Thar way you'll make unbeatable high scores and you'll be the master of this game. Of course, you can invite your friends for a friendly competition and enjoy the fun together. Download the Sky Copter game from Google Play - it is completely free of charge! Mobile and web apps can help students with almost every part of applying for college, from choosing schools and finding scholarships to keeping track of deadlines. However, if you will browse through the App store you will find plenty of such apps offering the same kind of services. For this purpose, we are also here with a review for a new app of that kind that is named, UniHub. UniHub is the ultimate university search app to find and choose from tons of schools/colleges/universities, majors, programs, scholarships, and choose what best for you. The information provided through this app are detailed and it also lets you find the language schools. This app lets you identify the universities according to your grading and other test scores as it comes up with the best search algorithms that always pinpoint the relevant universities. In addition, it is not the just the university finder app, it also provides the information about the consultancies that are attached to universities and language schools worldwide. With this feature, the app adds another amazing option for your to process your admission seeking requirements with more easiness than never before. The interface is clean and it offers quite smooth navigation through the app. To avail these features on your iOS platform device simply install this app by tapping the direct download link given below. The best part is that it is free to install. Games are a nice way to kill time. However, finding the best one can be quite an ask, especially given the number of games that are out there. Some of the best games are the ones that keep you hooked and put your mind to work. Again, there are quite a handful of games out there, which can keep you hooked. Puzzle games have come a long way in the past few years, so not only do you get good content now, but the graphics have been significantly bolstered as well. But we’ll help you figure out the best one in this review that is available by the name, Untangle Me Stars Brain Puzzle. What is Untangle Me Stars Brain Puzzle? Untangle Me Stars Brain Puzzle is a classic untangle game with different difficulties and challenges and very addictive. The goal is to move the stars through the universe so the connections between them do not overlap. The fixed stars cannot be moved from their location in space. Therefore, you have to move all the other stars around them to untangle the puzzle. You can move stars by touching it and drag it to other location in space. The lines that overlap the each other are marked as red color whereas the ones that you have moved to untangle and they don’t cross, they are highlighted as white clear. You achieve the objective of the game when all the lines become white whereas about the difficulty of the game the difficulty of the game increases with the preceding levels. To get started with playing this challenging game simply tap the direct download link to the app present at the end and have it for your Android. Android games have been such a rave in the past few years that they have quickly surpassed even gaming consoles concerning popularity. The continuous development in the smartphone sphere has made it possible for top game developers to hit the Google Play Store with their best lot. However, there is one drawback with play store that most of best games out there require an internet connection to function. This often affects the gaming experience and limits players in countries like where consistently finding an internet connection can be a task on its own. Hence, we have compiled a review for a game app that works offline and is available by the name, Hopz. 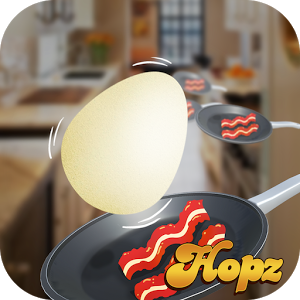 Hopz is a new fast-paced action platform game where you will play, as a chef to make delicious sausages but to collect the eggs to make these sausages is a quite risky process. Whereas collecting these eggs is the main goal of the game. when you will start the game you will see a number of pans on the screen and an egg jumping in the topmost frying pan present on the screen now your job is to guide the egg to reach the last pan to complete the sausage recipe. The controls for the game are simple one-tap controls and it seems to be quite easy to control these jumping eggs but in fact, it is not as you must be having quick reflexes and a good hand to eye coordination to successfully make the egg jump from one pan to another. Tap and hold the right side of the screen to make the egg jump forward to the right while to jump left. Tap and hold the left side of the screen to make the egg jump forward to the left. Overall, this game really offers you hours of unlimited fun and is addictive for sure. The more you will cook sausages, more will be your score. This game app is compatible with Android platform devices and you can install it free for your device from the link present below. 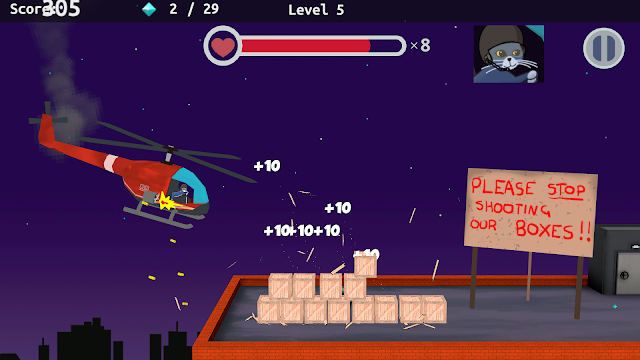 Snack Strike is an addictive arcade with real physics involved. We all know that free Android games aren’t always free these days, but many of them are very close if you have a little patience. Most Freemium bottlenecks occur when players get impatient and waiting for the game out can usually get around those pitfalls. What we have here is the review for best free Android games that you should be able to play comfortably without engaging in too many in-app purchases and we hope you enjoy them! We are talking about a new game app, Snack Strike. 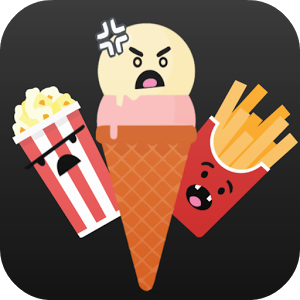 Snack Strike is a new arcade platform game for your Android that is a kind of brick breaker game. The game comes up with an amazing storyline that is about the strike story of snacks. Now you are on the job to clear the way. These snacks are forming bricks to block the way. Playing this game is quite simple and you don’t need any special controls to master. Just swipe the screen to throw the ball at these snack bricks. Breaking each snack brick rewards you few awesome surprises in the form of boosters to enhance your game play. Remember one thing that while you are throwing the ball at these snack bricks the angle is the main point. The game brings dozens of fun-filled levels and in each level, the number of these snack bricks increases and the difficulty level increases too in each level. Presently this game is available free for your Android OS devices and you can have it for your devices from the link present at the end of this review. Looking for an alternative to repetitive time-killers like Angry Birds or Candy Crush? Take a welcome detour with a truly engaging and interesting adventure game. This genre's focus on exploration, puzzles and story makes it a natural fit for mobile, leading to a rich variety of titles. You'll also find plenty of personality in these titles, some focusing on horror, some on time travel and some on murder mysteries. There are many adventure games on the App Store, from old-school point-and-click ports to more modern fare with jaw-dropping graphics. We all know how difficult is for composers, sound designers, voice artists and audio programmers to find the perfect job. The game audio industry is a huge field, so if you want help, here’s a great app - Game Audio 101. We’ve reviewed it few days ago, but it’s worth another mention, this time as a Most Useful App o f the Month. What is Game Audio 101 & Why We Like It? It is an Android tool that is especially designed for all people that want to find a job in the game audio industry or found out useful things about it. Created with intuitive user interface and tons of handy features, this app is the discipline of creating and implementing music, sound and dialogue in games. What are games without music, sound and dialogue? This is needed to enhance the gaming experience, so if you want to start a career in the audio gaming industry, Game Audio 101 can help you out. How? It provides with a job board where you can browse and search for open game audio jobs. Also, it offers informative and fun articles, interviews and unique content about sound in games, info about sound plugins and tools, useful links, and so much more. 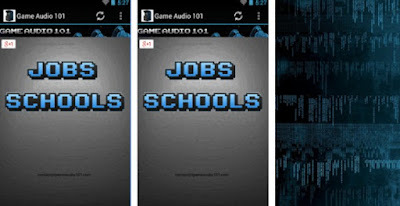 Updated daily with fresh job opportunities and fun content, Game Audio 101 can be downloaded for free from Google Play. If you can track your expenses religiously, you can actually reduce your expenditures and start saving. But it's so hard to actually track down every one of your expenditure and keep a tab on all of it. That's where the AntPocket expense tracker app comes in handy. We’ve talked about it few days ago, but this time we have it as our top choice for a Finance App of the Week. What is AntPocket - Budget & Finance? AntPocket - Budget & Finance is a great android budget app option if you're looking for a pretty robust personal finance app that also has some budgeting features. You can track your overall financial health, add transactions and expenses, see upcoming bills and payments due, run reports on your expenses by category or type, and of course, see your monthly budgets, tweak them, and see how much you have left to spend on a specific category. Finally, when you want to review your transactions, expense history, and overall financial health, AntPocket - Budget & Finance delivers with graphs and tables that you can tweak to see the whole picture or a specific subset of information. You can also take pictures within the app to add these to your expenses and by using its Google Maps integration you can now track where you have spent the most. To have this worthy to use app free on your Android simply tap the link present at the end of this helping review. In addition, if you want to enjoy some advanced features you can go for its premium account. Few weeks ago we discovered a new platform adventure game in the name of Shakey's Escape. After we reviewed few days ago on HighTechHolic, we had great times!It is an undeniably amusing and challenging game that will entertain you to the fullest. That is because we decided to give another additional appraisal pronouncing it as Game of the Week. What is Shakey's Escape – Cat Platform? Shakey's Escape – Cat Platform is an astounding adventure journey of a small cat Shakey that is trapped inside the basement, as his owner punished him for damaging her precious things. Now you are called to help that cat to escape from this basement and find himself a new place to live. You can only help him through these worst and challenging scenarios by controlling her moves and help him solve different puzzles situations to escape certain places. You'll really feel like you are part of Shakey's escape! So what is stopping you from downloading? Get this free cat jumping game for free for your iOS or Android OS devices. You can find the direct download links to the game at the end. Malta is a small, island country in the Mediterranean Sea that lies just 80 km (50 miles) south of Sicily, Italy. It has 7000 years of history with prehistoric temples, beautiful architecture with an ancient heritage, fossil-studded cliffs, glittering hidden coves and thrilling diving opportunities. With such great climate all year around, a low crime rate, friendly people, many restaurants, bars, cafes and a lively nightclub scene, you must give it a try. That’s why we want to help you with your visit to this amazing island by offering you this app called Malta Secrets that will surely make your vacation even more enjoyable. Malta Secrets it’s an extremely Malta travel guide app that offers a connection with the best products, services, and places for tourists to visit on this amazing island. You will truly enjoy your stay on Malta with this app. It’s going to be the perfect planner for any place that you want to visit. Also, it will help you discover secret places which will make your trip special and unique. It can be a real pain to plan the perfect vacation. Precious time lost on planning where to go or what to do it can really take the fun from your trip. That’s why Malta Secrets is here. It will guide your perfectly to any desired destination and it will show you all the best places and things to do in Malta. Download this truly amazing and useful travel guide app for Malta from Google Store and have your vacation planned the way you like it. Cyprus, a small Mediterranean island located near the Middle East, has been an appealing destination for nature lovers for many years. Known for sublime stretches of sand, rugged wine-growing regions, and dramatic cliffs, it is unsurprising that the region is littered with an array of natural wonders. From beautiful beaches to glorious gorges, here’s our guide to Cyprus’ natural wonders. If you want to experience all those wonders in the beauty placed in the far eastern corner of the Mediterranean Sea we bring you this app called Cyprus Secrets. Have everything at your glance with this amazing Cyprus travel guide app that will provide you with all the most see sites and services that you need. Enjoy in this truly unique island that is a mixer of different influences across the history. No wonder why is top destinations for all nature lovers with the unique flora and fauna. Visit Cyprus and witness the array of natural wonders that will make your vacation there an unforgettable experience. If you don’t want to miss anything along the way simple contact this trusted travel companion and it will provide you with all the information you need. Plan a perfect vacation for you and your family with this travel guide that will be your tour guide across the island. You won’t lose any unnecessary time on searching for what or where to go and visit. Cyprus secrets will be there to give you all the information you need. Download this extremely useful app for free from Google Store and embark on a unique journey on this wonderful island. If you like, games with stories, games where you need to solve - sometimes-tricky - tasks to move farther and farther in their incredible worlds, then adventure games are the right choice for you to get started. Adventure games are a perfect pick for taking a break from the daily grind, and just as well, they are often a great fit for pocket-sized devices due to their emphasis on brains and strategy rather than fast-paced action or flashy graphics. Sure enough, the app market is absolute, stocked with great options. Well to help you get started, we have brought you a review of a new game app, Shakey's Escape – Cat Platform. Social media management apps have the power to help you take your social web presence and activity to a whole new level. They'll also save you a ton of time and energy you'd have to spend trying to do everything manually. The best social media apps offer a range of solutions that can help you easily organize multiple accounts and share information across several social networks without ever needing to post anything separately to your accounts directly from the web. SHiNE - Be a Light is an app that was released recently and was already reviewed on HighTechHolic as a great new social app. With its purpose and functionality, as well as great starting success, we decided to pronounce it as the best social apps of this month. See why! This social media app for Christians is aimed at providing a wholesome place to meet others and enjoy all the Internet has to offer. SHiNE - Be a Light lets Christians share photos and videos. You can also find people to befriend, and groups to join. It is Christian-friendly, focusing on clean content. Parents, are you tired of the arguments? Here is your answer for family friendly and safe social media for your kids. You can now easily monitor your child account activity and be sure that they are always safe. Don’t wait and connect right now with your fellow Christians by downloading this clean and safe app for free from App Store. Expect great new exciting updates with inclusion of the bible. Soul Warrior - Fight Adventure was recently launched on Google Play and still it managed to get enormous success so quickly. We already reviewed this game on our website and since it is indeed stunning fun game that you will have hard time turning off, we decided to give it another appraisal, this time as the best action game of the month. See why and experience the game in the video bellow. What is Soul Warrior - Fight Adventure? Soul Warrior - Fight Adventure is a new thrilling game where your job is to take a fearless warrior through endless battles against powerful Evil bosses and other dangerous beasts. In this game, you will take part in the war against an army of demons who have attacked the six different peaceful worlds. In the game, you have the option to play using two different characters. You and a hero of the hidden settlement are going to survive cruel battles against powers of Evil. Control character's movement. Cut monsters with a sword and apply other fighting maneuvers. Be attentive as different monsters have different abilities. Clear the worlds out of evil bosses and rescue the survived people. The game offers you a wide range of upgrades to boost the skills of your warriors and you can choose between different weapons. To upgrade or unlock more things you can use the gold coins you have earned in the game. The 2d rpg game is available for Android OS devices and you can have it free from the link present at the end of this helping review. Droid: It’s not just a robot from a galaxy far, far away. It’s also a good option for anyone who wants a mobile device unshackled by the closed operating systems used by certain other smartphone manufacturers. There are a bunch of great games available for Android phones and tablets, including lots of the best games that are also on Apple’s iPhones and iPads. If you're looking for a new addiction, stop right now. There's no need for you to go through Google Play when you have us. Few days ago we've discovered a fantastic tap tap arcade game, suitable for users at any age. It is called Sky Copter, a beautifully designed Android game, presented with simple game mechanics, neat UI and fun soundtrack. Podcasts are a fantastic source of entertainment and knowledge. Providing you with a radio show that’s specific to your needs and interests, they’ll keep you hooked while you’re on your daily commute, going for a leisurely walk, or working out at the gym. iOS has its own stock Podcast app, but that only scratches the surface when it comes to functionality. We’ve rounded up a review for an app, Leela: Podcast Player With Quick Search & Listen for getting the most out of your podcast listening time. What is Leela: Podcast Player With Quick Search & Listen? Leela: Podcast Player With Quick Search & Listen is powerful podcast app available for the iPhone which, of course, lets you search, browse and listen to podcasts. It ticks a lot of boxes when it comes to other features, too. For starters, it lets you search, browse and download podcasts for offline listening. The discovery platform lets you discover trending podcasts and always brings you the fresh list of podcasts. You can create “Smart Playlists“, so you can prioritize and add multiple podcasts to a list and then listen to it in one go. Playback can be controlled via Ear Pods so you don’t have to fumble around with your phone every time you need to play/pause. This app also brings support for widgets and rich notifications system that always notifies you when there is new podcast uploaded. At this moment, the podcast player app is available free for your iOS platform devices and you can have it for your device from the link present at the end of this helping review. Expanding into new markets is the backbone of growing a business. For international ecommerce success, if you don’t speak the language of your audience by localizing your message, your growth is likely to be inhibited. The United States is currently the top destination for online shoppers abroad. Around the rest of the world, 15.4% of all retail sales in the UK happen online, closely followed by China (13.8%), Norway (11.5%), and Finland (10.8%). Global online spending claimed 7.4% of all retail spending in 2016, and is predicted to rise by as much as $4 trillion by 2020, claiming 15% of the world’s retail sales. By 2020 it is predicted that almost half of all online shoppers will purchase products and services online from an overseas ecommerce business – that’s nearly 1 billion consumers. The complexity of translation and localization can be a huge challenge for businesses intending to increase profits through international trade. For Australian shoppers, purchasing textbooks from an English retailer won’t pose a problem – spelling, grammar and syntax is relatively similar. However, a recent Forrester report notes that 95% of Chinese online customers prefer to shop on websites that cater for their language, whilst Europe has a sizable 42% expecting the same localized website experience. Evidently, language plays a much larger role in these purchasing decisions. The ability to present your product or service to international consumers in the appropriate language must be at the center of expansion strategies if you want your business to succeed. However, native languages must be treated with care: Poor translations are at the heart of many stories about international marketing campaign failures. This faux pas ensures companies are noticed, but for all the wrong reasons. Traditional and cultural aspects are harder to define, and are typically where a marketing campaign will run awry. Simply translating word for word will not suffice, and can cause confusion or offence in your new target market. Translating successfully to native content requires a number of different elements that are found within a culture: Images, icons, humor etc. These must be taken into consideration simultaneously. Unfortunately, it is all too easy to be culturally insensitive or oblivious, which Proctor & Gamble proved when launching Pampers diapers in Japan. Sales were initially slow until some research revealed that their packaging, which included an image of a stork delivering a baby, confused and concerned Japanese parents. In Japanese folklore, babies are delivered to parents on giant floating peaches. After a difficult start for Coca-Cola in China, where they had mistranslated their brand name to comic affect, Coke seemed to learn from their mistake and put localization at the heart of their Australian Share-a-Coke campaign when they took it to a global audience. Obviously the 150 most popular Australian names needed to change, and did, for Denmark, Norway and the UK, but they recognized that localization goes beyond name changes. The massive variations of first names in China made a simple name swap impossible, instead, Coke bottles displayed common nicknames such as Classmate and Close Friend as well as popular compliments from Chinese social media. Coke enjoyed a spike in sales for the region as the youth market connected with the message. Increasing a business’ profits via globalization is certainly the way of the future, and reaching out to new markets through cross-border sales will be a growing opportunity for years to come. To make the most of these opportunities, businesses must put linguistic messages and the correct localization of them at the heart of their campaign strategies to successfully expand across geographic barriers. Investing in quality localized translations will ensure you reach your markets with the right messages, grow your bottom line and become less dependent on your own location.